What are some of the names of Chinese smartphone manufacturers that ring a bell with you? Xiaomi and Oukitel might be a couple of those, but do not forget the likes of Oppo as well, who have come up with some rather decent devices in the past. In fact, this time around, Oppo has decided to jump aboard the selfie bandwagon seriously by offering what it calls the Oppo F1, which is better known as the “Selfie Expert”. suppose when you have a name like that to live up to, it can get rather interesting – and it had best perform as advertised! 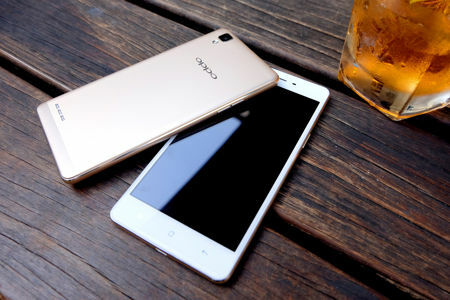 The Oppo F1 happens to be the first product of the newly announced F series, and it is all ready to rock and roll in approximately 20 countries around the world, including markets in Southeast Asia, South Asia, the Middle East and North Africa, where depending on the region involved, there will be 4G and 3G versions available as well. Why is it known as the “Selfie Expert”? For starters, the Oppo F1 comes with a standout 8MP front-facing camera, accompanied by a sophisticated photography platform, and has powerful software that has been specially designed to make capturing stunning selfies a breeze. It might be lightweight in terms of its form factor, but you can be sure that this is a heavyweight when it comes to performance. The Oppo F1 is available at a pre-order price of €229, and yet do not be fooled by the relatively low price point as it is capable of punching above its price point. The 8MP front-facing camera will boast of a wide f/2.0 aperture lens and a 1/4-inch sensor, allowing for 44% more light to enter the camera than an f/2.4 aperture lens, and this results in shots that are 30% clearer than ones taken with an ordinary 5MP front-facing camera. Not only that, there is also the Beautify 3.0 feature that does its bit to make sure that your selfies are stunning to look at regardless of whether you have a bad hair day or not. Beautify 3.0 does away with blemishes, where it highlights a subject’s features and will sport a trio of different beautify modes along with 8 filters. Have you cranked up on the narcissism yet?